£13 million raised for charity. This year’s RideLondon event has beaten the 2017 record of £12.75 million and has brought the total money raised for charity in the first six years of the world’s greatest festival of cycling to more than £66 million. 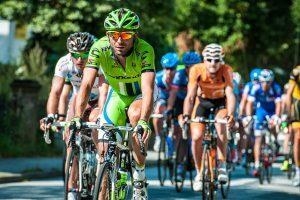 Prudential RideLondon was created by the Mayor of London and agencies in 2013, growing to become the world’s greatest festival of cycling. The event is managed by the London & Surrey Cycling Partnership (LSCP), a partnership between London Marathon Events Limited and SweetSpot Group Limited. This event sits within the Mayor’s and TfL’s cycling programme. “I’d like to pay tribute to every cyclist who helped raise this record-breaking amount of money for charity at 2018 Prudential RideLondon. Their efforts will help some fantastic charities make a real difference to people’s lives”. The first launch of Prudential RideLondon in 2013 saw 16,000 riders raise more than £7 million, with the following years seeing a significant increase in the number of cyclists and the money raised. 2014 saw 20,709 cyclists that broke the £10 million barrier, 2015 saw 25,564 finishers raising more than £12 million and setting a new fundraising record for a cycling event in Europe. 2018, may have been the hardest year yet as riders fought through the strong winds and heavy rain but came out champions raising a record £13 million. £300,000 was raised for Charity of the Year, Great Ormond Street Hospital (GOSH) Children’s Charity by a team of more than 450 riders. Macmillan Cancer Support raised more than £500,000, with Alzheimer’s Society, British Heart Foundation and Prostate Cancer UK among the many other charities that raised six figure sums. This year’s event has been impressive and a milestone in cycling, but what will 2019 bring to the table? 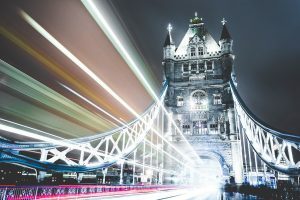 The 2019 Prudential RideLondon-Surrey 100 takes place on Sunday 4th of August! Registration closes on Friday 4th of January 2019. Click here to find out how you can get the bike you want using retail finance. 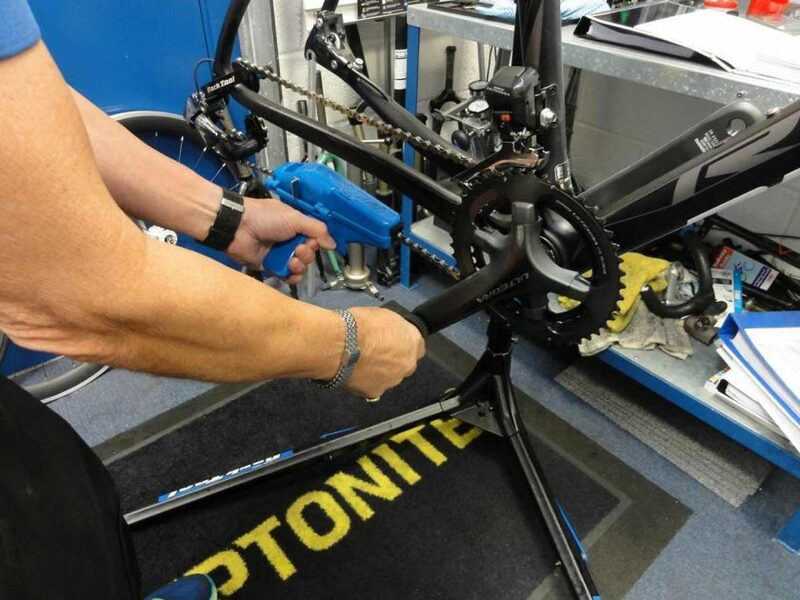 Regular ‘preventative’ maintenance during the wet months will help keep your bike running smoothly throughout, so Pete-one of the original pioneers of Cytech training and a trainer/assessor at pjcsonline.co.uk (PJCS)-is here to show you a few things to keep on top of. It’s important to regularly clean the rim of your wheels and inspect for any damage that may occur due to potholes, for example. For bikes with rim brakes, you should also inspect the wear and tear on the braking surface (as well as the brake pads themselves) which are subject to heavier wear rates during the winter months. Most modern rims have some form a wear indicator-if this is no longer visible then it is time to consider replacement to avoid a catastrophic failure of the rim if neglected for too long. For more information on brake pads check our previous articles in the bicycle maintenance series. If riding tubeless you will need to continue regularly checking fluid levels and top up if necessary-there are brands/tools out there that allow you to be able to do this without ‘popping’ the bead, making the whole process less hassle. 1. Check that the derailleur is fixed properly to the frame, and tighten if not. 2. ‘Disengage’ the cable. To do this shift you bike into first gear (biggest sprocket) whilst turning the pedals. Then, without turning the pedals, use the lever to shift into your highest gear (i.e. without the chain actually changing gears) to release the cable tension. With the cable tension reduced bring the cable out of the guide (as pictured below), and then turn the pedals to let the chain shift onto the smallest sprocket. 3.With the chain on the highest gear (smallest sprocket), check that it runs smoothly. If not then use the High-End Stop Adjustment screw to adjust. 4. Now, whilst turning the pedals, manually (so without using the shifter) push the derailleur onto the lowest gear (biggest sprocket). Check that the chain runs smoothly in this gear, and if not then use the Low-End Stop Adjustment screw to adjust. 5. Whilst still pushing the derailleur onto the lowest gear, re-engage the cable. Continuing to pedal, let the derailleur go so that it returns itself to the highest gear. 6. Using the shifter, shift to the 2nd highest gear (so 10th gear on an 11-speed sprocket, 9th on a 10 speed etc.) (for Campagnolo gears you want 7th on 10 and 11-speed sprockets). 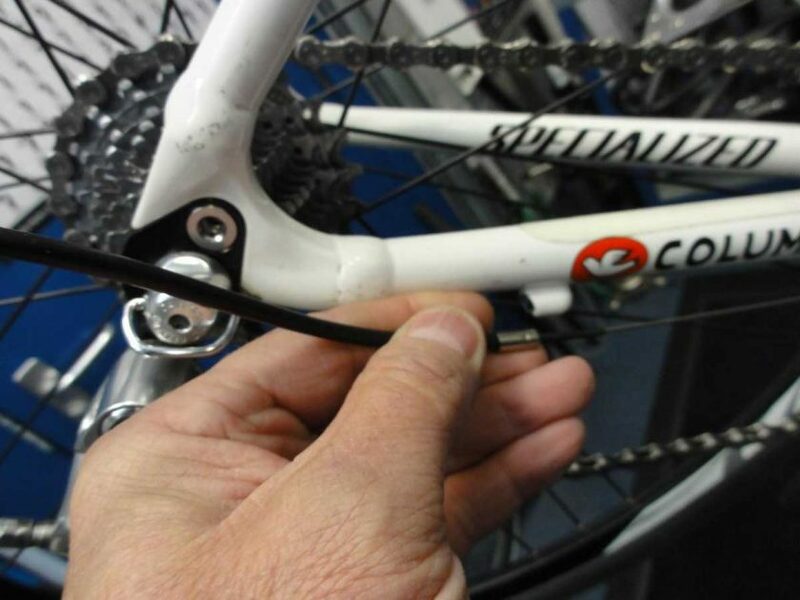 Whilst pedalling forwards increase cable tension using the micro adjuster until the chain starts to ‘chatter’ against the side of the third sprocket in, and then reduce cable tension until the ‘chatter’ stops. This should result in fully adjusted gears. 7. Run through the gears in both directions. If it does ‘snag’ in either direction, return to the highest gear (smallest sprocket), then shift down one click (or to gear 7 for Campagnolo). Micro adjust 1 notch in either direction. Repeat until you get smooth shifting in both directions. 1. Check that the height/orientation of the derailleur is OK, and also that the derailleur is fixed properly to the frame. 2. Shift the chain onto the smallest chain ring (at the front) and the largest sprocket (at the back). 3. Either disengage the cable similar to the rear, or slacken the cable using the tension adjuster (remembering how many turns you’ve adjusted it by). 4. You can now check if the chain runs smoothly on the small chainring and if not use the Low-End Stop Adjustment screw to adjust. 5. Reintroduce/retighten the cable and shift into the largest chainring and smallest sprocket. 6. 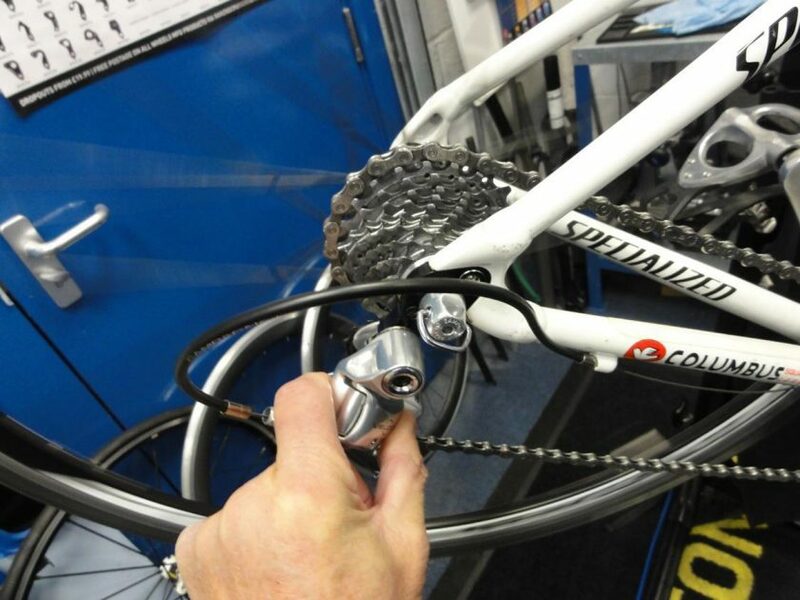 Check if the chain runs smoothly on the large chainring and if not use the High-End Stop Adjustment screw to adjust. 7. Now shift through the gears to make sure they all run smoothly, and if not make small adjustments to the cable tension to fine tune. ‘Conflicting messages’ on safety are preventing parents from encouraging their children to walk or cycle to school, according to campaigners. A survey by Sustrans and the Scottish Parent Teacher Council (SPTC) found 42% of parents felt safety was a barrier to travelling actively to school. The survey asked 1,232 parents, who were engaged with the SPTC, how their children travel to and from school and why they travel in this way. The survey showed that just 3% of Scottish children cycle to school and 2% scooter, whilst but almost half walk. 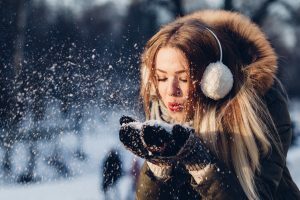 She added: “They are expected simultaneously to be responsible for keeping their children safe, for ensuring they are fit and active, and very often, for getting to work on time. Of those questioned, almost half (42%) said safety was a barrier to their child walking or cycling to school, followed by a lack of cycle routes (29%), too much distance (22%) and not enough time (17%). Parents said safer walking and cycling routes and slower traffic speeds were most likely to encourage active travel but convenience is still the main driver of travel choice. Lynn Stocks, acting head of behaviour change at Sustrans Scotland, said the survey confirmed what they were already hearing anecdotally from parents and teachers. “Increasing the number of pupils travelling actively to school is a simple way of providing children with the moderate intensity of exercise required every day,” she said. Beat the train fare rise! Average rail ticket prices have risen by 3.4% across the UK, in the biggest increase to fares since 2013. Commuter routes that are now more expensive include Liverpool to Manchester (up £108 to £3,152), Maidenhead to London (up £104 to £3,092) and Elgin to Inverness (up £100 to £2,904). 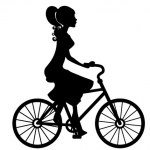 But there is a way you can beat the rise… get on your bike! Switching to a bike for your journey to work could save you thousands every year! Cycling is only second to walking as the cheapest form of transport. 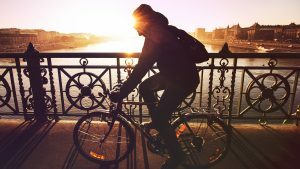 Check out the Cycle to Work calculator to see just how much you could save. If the cost of buying a bike is putting you off, don’t forget you can spread the cost over as long as 48 months with Ride it away. Check out our handy finance calcualtor to see how little it could cost to get the bike of your dreams then find your nearest dealer and get cycling! So, you’ve got a nice a new bike that has disc brakes on it, yet you’ve never really known how to maintain them yourself. Just like their rim braking cousins, disc brakes have dos and don’ts that you should be aware of to get the best out of them. Bleeding hydraulic brakes can be tricky, especially if you’ve never done so before, and with each brand there normally comes a slightly different process. One thing all disc brakes do have in common, though, is that the pads (and also rotors) are very susceptible to contamination, meaning that care should be taken at all times when considering any work around your disc brakes. Instructions can be found online, however, we would definitely recommend taking your bike to your nearest Cytech technical three qualified technician for a brake bleed and service-if done annually it can be a part of a regular service schedule for your bike. Bleed blocks are used when the wheel and pads are removed-these keep the pistons properly spaced, even if the lever is depressed while the wheel is out. As well as brake blocks there are also bleed blocks to use when the wheel and pads are removed-these keep the pistons properly spaced, even if the lever is depressed while the wheel is out. Above are examples of different versions of bleed blocks supplied by different manufacturers. Mechanical systems are easier to work on but require more regular maintenance. For example mechanical systems will usually need adjustments over time due to cable stretch, as well as periodic re-adjustment due to pad wear (similar to rubber rim brake pads). Another thing to consider is the model of caliper as it may only have a single moving piston-this means that you will need to adjust the ‘static’ pad to bring it closer to the rotor as it wears. You normally have a knob or screw located on the back of this static side to allow you to do this. The ‘moving’ pad then also needs to be adjusted as appropriate to get the right spacing-this is done in the ‘usual’ way by tightening the cable. As a general rule of thumb, it’s time to replace the pads once the pad material (not including the metal backing) abrades to a 0.5mm thickness or lower, however, always check with the manufacturers’ instructions to be sure. Changing your pads in a timely manner will ensure consistent braking without any unwanted surprises-be sure that when buying new pads that they’re either the same as the old ones or compatible with your caliper and rotor as they do come in different shapes and materials. Once the wheel is removed use a brake pad setting tool (or similar) to push the pistons back into their original position. Most pads are held in place with a cotter pin or threaded locking pin along with a clip to keep the pin in place if it comes loose. Remove the clip followed by the pin, then bring the pads out of the caliper. In most, if not all cases there will be a ‘return spring’ that comes out with the pads-make note of the way the spring and both pads come out and their set-up. Insert the bleed block to keep the pistons in place. While cleaning your rotor it is also a good opportunity to check for wear. Rotors have a minimum thickness that is laser etched on the side of the rotor-in most cases the minimum is 1.5mm. Use digital calipers to determine if you need to replace your rotors, and when replacing your rotors make sure you also buy the correct one for your caliper and the material of the pads that you are running.